Here’s your new interview with one of the winners from the 10th Adonis Golden Ratio Transformation Contest. 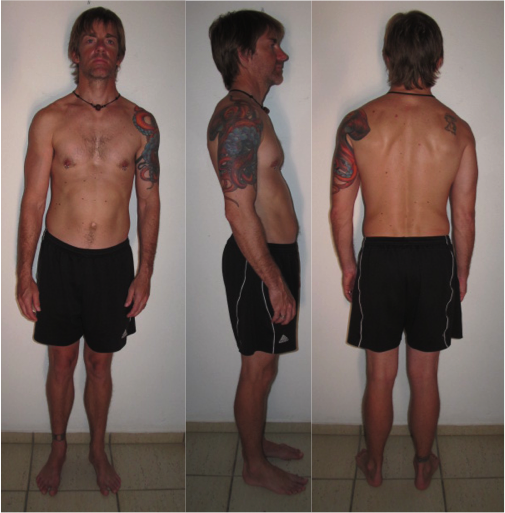 Today we get to examine the “Lessons Learned” from Tim Heaton who placed 9th in our last 12-Week Transformation contest. As Tim states in his essay, he is no stranger to hard work. In just 12 short weeks Tim was able to add a significant amount of “muscle” with the help of his “hustle” mentality. Coming from a diverse background in both SCUBA diving and marathon training, Tim launched his AT10 journey with a clear goal in mind. That goal simply was to progress from start to finish. When entering the contest, I had no intentions of winning anything, or placing in the Top 10. This was only meant as a way to progress from start to finish, with a clear goal in sight. Having been an active person throughout my life, I was no stranger to hard work and intensity in training, although I found many obstacles to overcome. From 24-hour fasts and tracking of all food intake, to 6-day-per week weight-training sessions that lasted up to 2 ½ hours, I found the twelve week process more intense than training for a marathon. In contrast to marathon training, I look better, I feel much better, and most important…I am injury free! After trying a multitude of strength-training protocols and sport-specific systems, many years went by in frustration at not being able to achieve a lean muscular body. I have had more change in the last twelve weeks than ever before. After three years away from ANY kind of training, working on SCUBA-dive boats in the Caribbean, I started the AI program on 13 Dec 2013. I went from Muscle Building Foundation (MBF) to Final Phase. These, along with the other protocols within the system, all seem to be sustainable, incorporating things that work to gain an incredible physique AND strength, yet changes often enough to keep one from getting bored. But, the biggest surprise and change came from nutrition and fasting. I have learned more about these two things than I ever thought possible. This aspect, especially, has changed my life forever. Sure, I will still eat chocolate, drink red wine, eat a burger & fries or pizza, and indulge in ice cream, but over the days, weeks and months, it will not happen as often (except for the chocolate and red wine – ok ice cream, too). I am truly impressed with the knowledge and support of the AGR/AI community. I utilized the Forum to gain insight into training philosophy and nutrition from real people who have gone through the process before. The podcasts and information available from the Adonis Index system provided information AND inspiration to keep me dedicated to giving myself a healthy, strong and lean body, along with a well-rounded mindset to train smarter. THANK YOU!! Muscle Building Foundation is a great place establish a baseline for you AI goals. The 12-Week Transformation process was more intense than Marathon training. The only difference is I LOOK and FEEL much better! Utilize the AGR forum gain additional insight and training philosophy from real people who have already gone through the transformation process. Listen to the podcast and read the blog posts to remain informed and inspired.